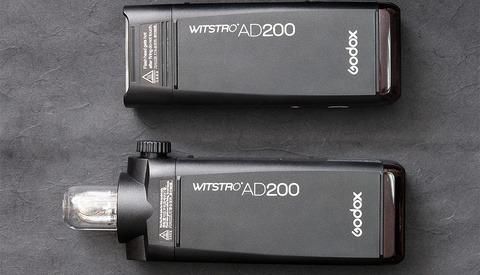 Last week, I posted an overview and review of the Godox Witstro AD200, and there were quite a few questions about the unit and things that I wanted to clear up with a follow-up article. So, this week, we'll dive a little deeper into the unit and have a look at some of the issues raised and make a more detailed comparison of the two heads that it comes with. As we saw last week, the AD200 is unique in that it has interchangeable heads. 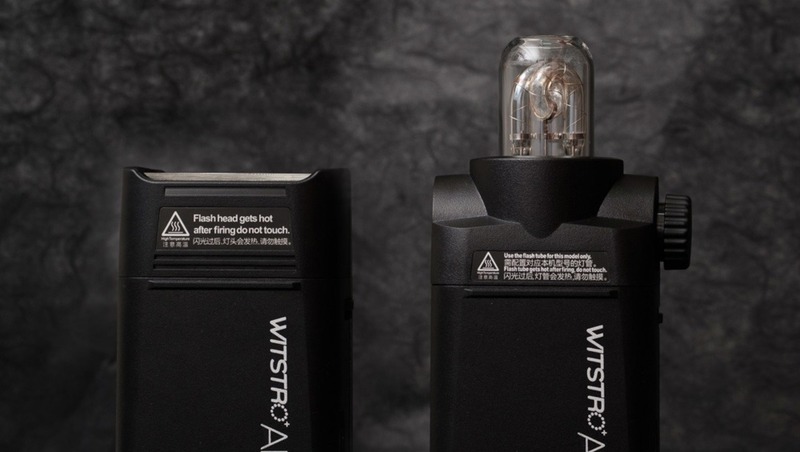 The first is a Fresnel head that acts very much like a speedlight, and the other is a "bare bulb" that acts much more the way many studio flash heads do. A few questions were raised about the way these two heads behave, so let's take a look at these. Before we do, though, the important thing to note is that they produce the same amount of light (give or take 2/10 of a stop), even when the "bare-bulb" head has the reflector bowl attached. The difference lies in the quality of light produced and the use of the two heads. 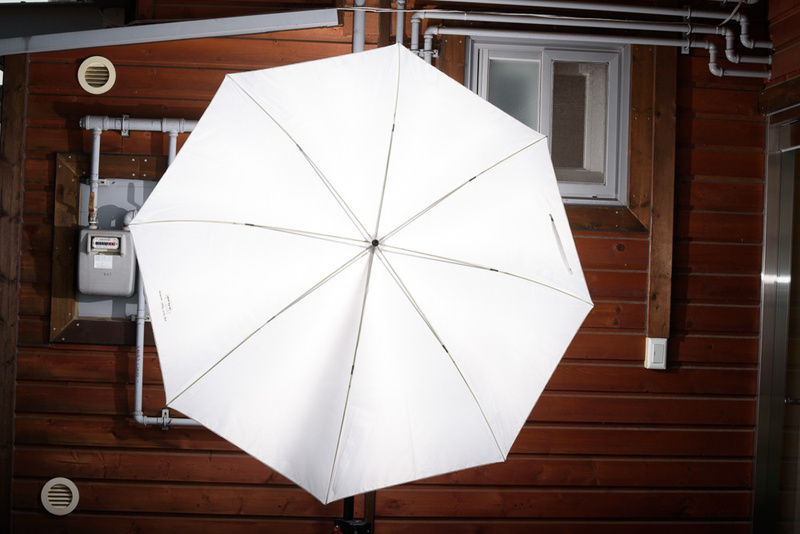 When fired through a shoot-through umbrella, one would expect the "bare-bulb" to fill the surface of the umbrella more evenly than the Fresnel head. It does. However, it's not quite that simple. Let's take a quick look at the light pattern produced by both. As we can see, the Fresnel lens doesn't cover the whole flash bulb, presumably leaving gaps for heat-dissipation. 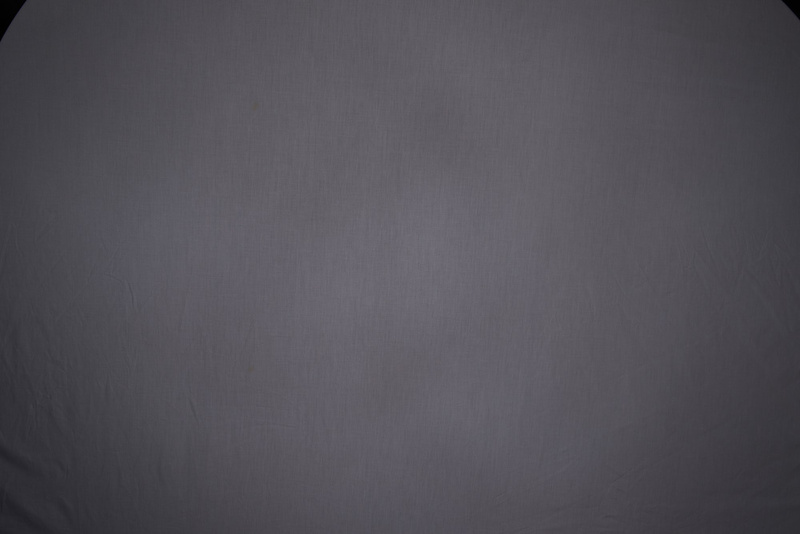 This leads to the uneven illumination pattern you see in the image below. Of course, the bare-bulb head has a similar issue. Not being fully enclosed with a diffuser, you can see that the center of the light gets a little hotter than the spread from the edges. All in all, though, the bare-bulb head fills a shoot-through umbrella more evenly than the Fresnel head. Based on your desired result, this could be a good or a bad thing. AD200 using Fresnel head (1/4 power). Note the two lines of stray light that pass through the gaps next to the Fresnel lens. AD200 using bare-bulb head (1/4 power). Note that the light fills the umbrella much more evenly from edge to edge. For those who read my articles from time to time, you'll probably have noticed that my preference for the Softlighter II 60-inch is quite obvious. It works well in further diffusing the light from bare bulbs and speedlights by facing the light back into a reflective umbrella before putting it out through a front diffuser. In this test, I was quite taken aback by the results. I had assumed that the bare-bulb head would fill the rear umbrella more evenly, and thus the front diffuser. However, I noticed that the Fresnel did a better job of illuminating the full front of the diffuser more evenly. The additional light coming from the center of the AD200 seems to be at play here (the Westcott Apollo 28-inch behaves the same way) as the middle of the diffuser is significantly hotter than the edges when the bare-bulb head is attached. 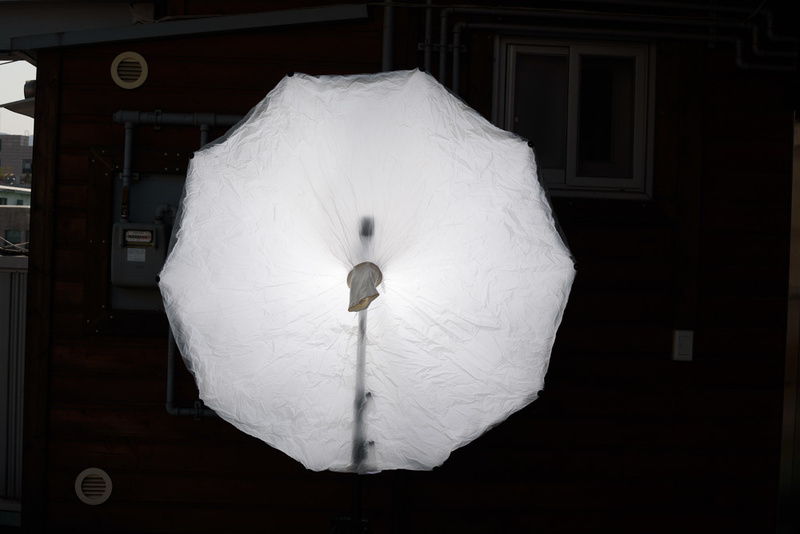 When looking for a softer light from a "brolly box" like this, I would recommend using the Fresnel head. AD200 using bare-bulb head (1/4 power). Note the uneven illumination. 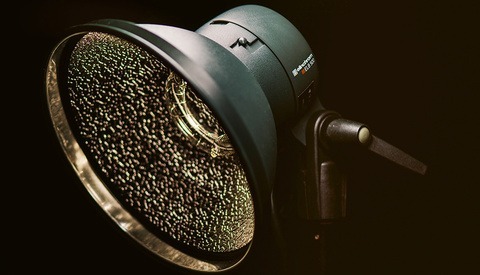 AD200 using the Fresnel head (1/4 power). Note the much more even illumination. There are times when, for creative effect, you may want to shoot the flash straight back into the lens. Whether it be recreating the sun on a cloudy day, or reducing contrast in the scene, there are many reasons you may want your light in the frame. Let's take a look at the shape of the flare caused by each of the heads. 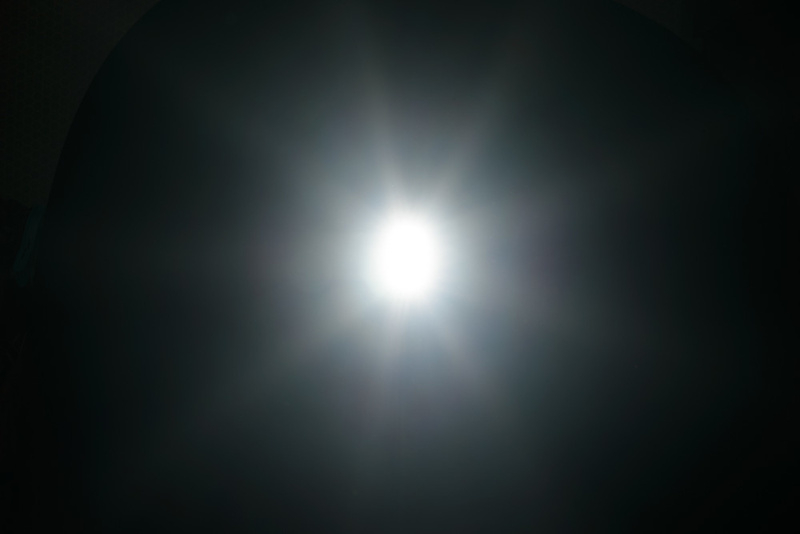 As we can see, the physically larger Fresnel head creates a larger bloom around the light source than the smaller bare-bulb head. As the two move further away, this becomes even more pronounced with the bare-bulb head, which acts more and more like a pin light over distance. 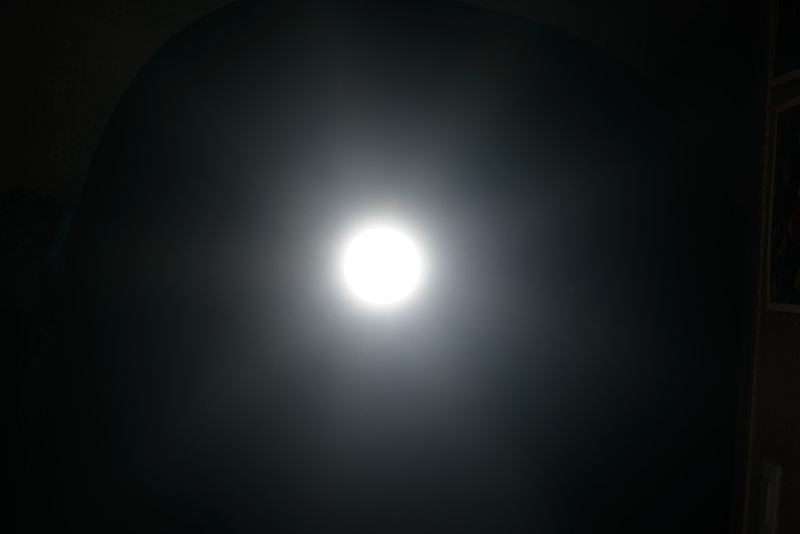 Fresnel head fired directly into lens. Bare-bulb head fired directly into lens. Bare-bulb head fired side on. Bare-bulb head fired through reflector bowl. Another consideration you may be interested in is that shape of the light coming directly out of the heads. 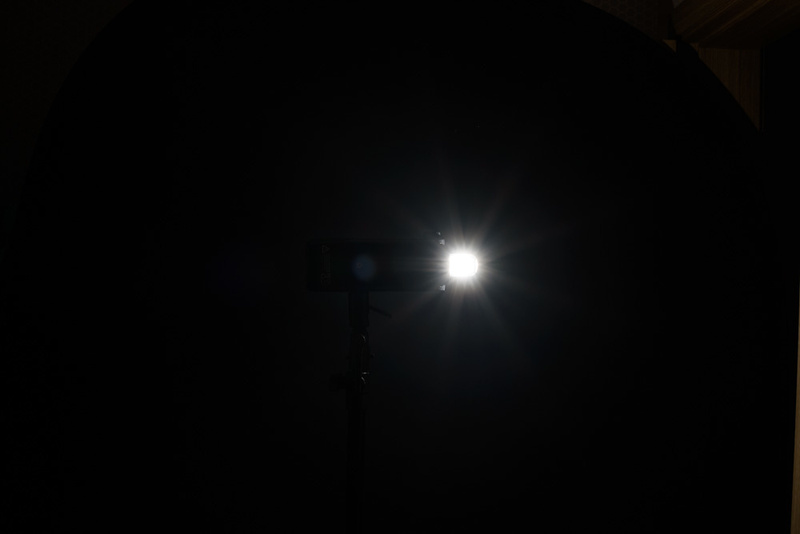 As you can see below, the Fresnel head produces a longer, thinner beam of light than many speedlights (the frame here is not wide enough to see the leaking light from the gaps in the Fresnel). Whereas, the bare-bulb head produces an uneven, scattered pattern. Personally. I rarely use any light with modification of some kind, but for those of you who do, this may come into play. The light from the bare-bulb head fired straight at a white sheet. 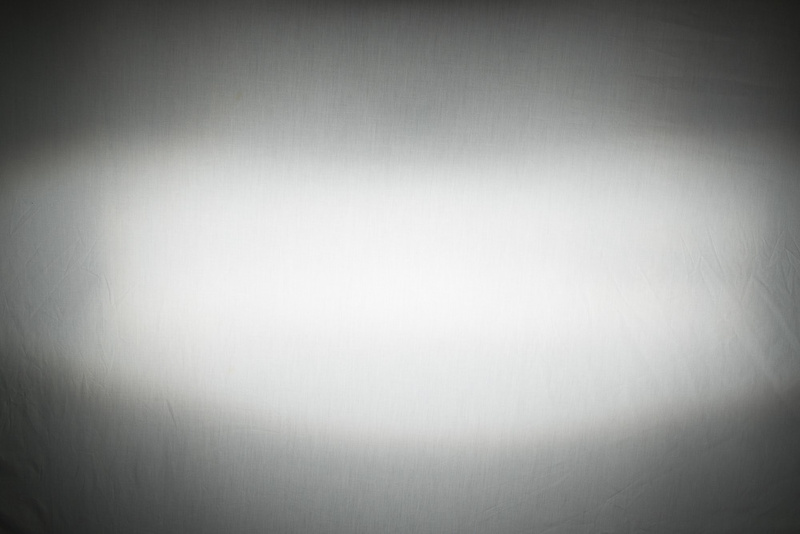 The light from the Fresnel head fired straight at a white sheet. Let's start with the simple fact: I was able to make this unit overheat pretty easily. Full power TTL seems to be its issue. As I shoot mainly in manual, I didn't stress test the TTL functions as much as I probably should have. The exposures look great, and the light recycles quickly. There is no doubt about that, but for TTL shooters, you may want to recall the Nikon SB900. The AD200 also overheats quite quickly. Using both the Fresnel head and the bare-bulb, I was able to get the light to overheat relatively quickly when firing at ISO 50 and f/16. After just 45 and 47 flashes respectively, the unit began to slow its recycle down significantly to compensate for the heat in the flash head. The reason I did not notice this is that I very rarely shoot a lot of TTL exposures in a row. So, I decided to test whether or not I'd simply been shooting slowly during my tests. I set the flash to 1/1 manual and popped 100 frames consecutively, firing the flash as soon as I heard the recycle beep. Not once did the flash overheat or slow down. It seems as though this may be the work-around for now. The two heads produce the same power. The Fresnel head leaks light from its sides, and produces a very thin light pattern. The bare-bulb works effectively fills an umbrella, but not so much a brolly-box. Users of TTL may want to look elsewhere. This is still a great flash for manual mode users. Great article with insights that complement other articles very well! Interesting point on the TTL limitation too. The occasional time I shoot TTL, I tend to take a couple of TTL readings, then lock the flash exposure for the remaining frames in the setting. 50 full power pops isn't really bad performance overall. I noticed in my manual that the bare bulb head gets about 1.5x more pops before the overheat protection kicks in. I spent a few hours before my wedding yesterday testing all the different head/ diffuser combos and it the bare bulb head/ barebulb with reflector is the way to go. Unless you really need the modeling light. It's nice to have the fresnel head for times when you really dont' want to pack the bulk reflector. I used 50/50 TTL and manual at a 5 hour wedding yesterday and never got the flash to go to protection mode. Another thing to remember is that full power speedlight pops are like 1/4 power on this thing so when you set them at the same light output you can shoot all day long with no slowdowns. Did you mean "without modification of some kind"? You're complaining about overheating after circa 50 shots at iso 50 and f16?!... And about uneven barebulb in softlighter - you need to adjust focus point there - I'm using the same type (AD360) for two years now and it's the most even source there is - if used correctly. I think you have misunderstood; there was not a single complaint in the article. It was a descriptive piece as a response to questions others hand about the TTL performance and evenness of light. Just out of curiosity- what position do you find optimal with the bare bulb and the soflighter? ?